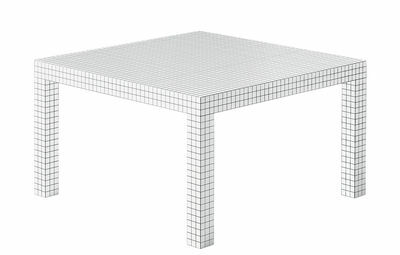 In 1970, Superstudio then revived the grid - its neutral surface - in a collection of furniture manufactured by the Italian company Zanotta. 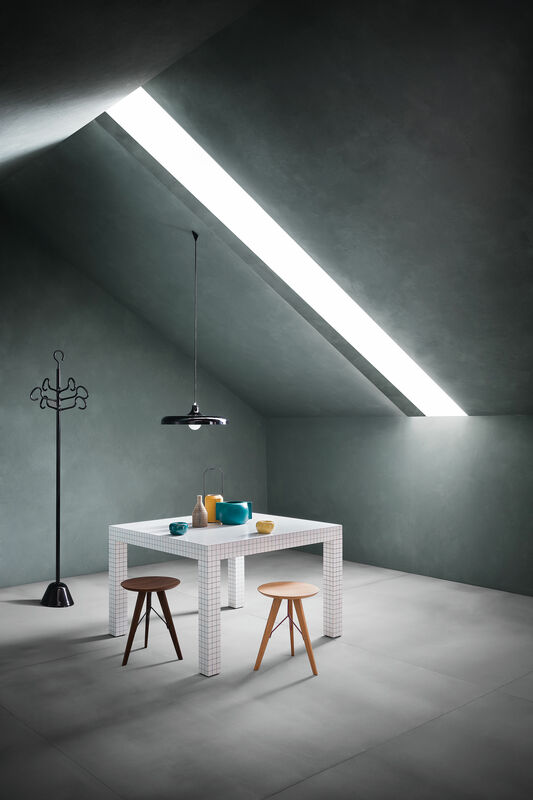 Designed in stark, geometric forms and covered in the ABET plastic laminate traditionally associated with cheap cafés and 1950s coffee bars, its Quaderna tables, benches and seats were a wry, but functional commentary on political disillusionment. 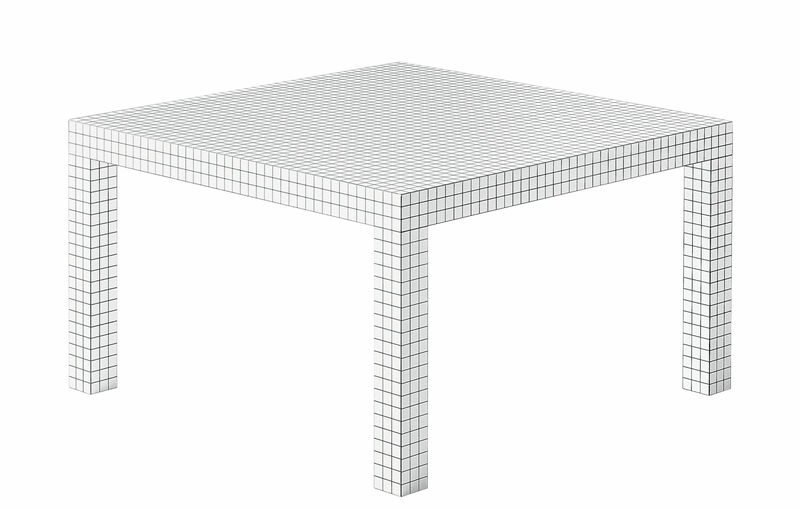 The dimensions of this table are : 126 x 126 cm x H 72 cm.